September was quite the month. In just a handful of days, the automotive industry went from the acceptance of its downward spiral to a new reality of increased demand, higher pre-owned vehicle prices, and a need for more inventory. It’s another example of the indelible impact hurricanes can have on our lives. To be sure, we all directly or indirectly lived through the devastation caused by three Category 4 hurricanes making U.S. landfall in less than a month—storms that caused billions of dollars in damage. From a vehicle perspective, the first two (Harvey and Irma) made landfall in Texas and Florida just about two weeks apart, and left an estimated million cars destroyed. As a Florida-based company, we experienced the hurricane first-hand, but although we were without power for some time, we were very lucky that none of our inventory was impacted. The fact remains that a million cars taken off the road due to two natural disasters means a sobering course correction for the industry: a year-long forecast of soft pre-owned prices, slowing demand, and too much inventory (new and near-new). Now, pre-owned vehicle sales are up—8% or so—and the used car SAAR is at 40.4 million units, up from 38.1 in August. Even new car inventory is down to around 4 million units. The bottom line for dealers? There is a need to replace half a million vehicles—a need analysts say will last at least through November. The bump is already happening: According to the Manheim Used Vehicle Value Index, wholesale prices jumped 2.77% month-over-month in September. Analysts found that all major market segments saw gains. Strong wholesale market values are a result of growing retail demand that can mostly be attributed to the recovery following Harvey and Irma. Replacement demand, combined with a reduction in available supply, is tightening wholesale inventories. The impact to the wholesale market is widespread, likely continuing wholesale price gains for at least another month or two. So it’s all about tightening wholesale supply clashing with renewed, vigorous demand and creating pressure on prices. Trouble is, most of the used car growth is in the off-lease, less-than-four-years-old segment. Hurricane or not, the narrowing price difference between new cars with incentives and off-lease vehicles presents dealers with a challenge to keep fresh and varied inventory in order to better serve a broader range of used car buyers. Not everyone wants or can afford to buy a new Chevrolet or a 2013 Toyota Highlander, for example. In today’s market, in the wake of the September hurricanes, there’s arguably a greater demand than ever for older cars—a segment in the used car inventory makeup that remains in short supply. In fact, according to the Edmunds Used Car Market Report, owners of older cars are hanging on to them, which may be creating higher values and prices. Put all of it together, and you get a challenging, complex used car market. Between new cars with heavy incentives, a glut of off-lease vehicles, and in-demand older used cars, it’s enough to give anyone a headache. Add to that a unique scenario of tightening credit and replacement-vehicle needs, and it requires a thoughtful and nimble approach. 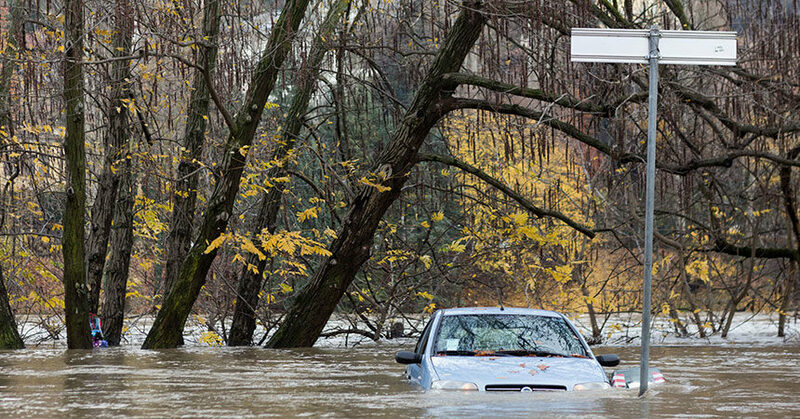 Here are three quick tips to help navigate the post-hurricane used car market. This is obvious, right? All dealers know the value of fresh inventory, and the potential cost of the clunker that’s sitting on the lot gathering dust. Now, more than ever, your aging policy must be strict and active: Don’t wait until the fourth quarter to start thinking about freshness dates. Remember, too, that fresh inventory ideally includes cars that haven’t been sitting on someone else’s lot (or someone else’s website) for two months. Find ways to introduce new options to your market and your buyers. Fine-tune your trade policy, and look for multiple options that will deliver fresh inventory across all major segments. Consider older trucks and SUVs. According to Edmunds, utility vehicles retain more of their value compared to 10 years ago. With tightening supply because of the hurricanes, finding the older vehicles that make for a good deal may be a good tactic, especially as automaker incentives take their toll on newer used vehicles. The Edmunds report found that these older cars are hard to find, however, due to lower volumes. September brought with it three hurricanes, and turned a new page in terms of prospects for 2017 car sales. Most analysts think that overall consumer demand is still soft, however. It may not be long before we find ourselves back in the recent situation of too many cars and not enough customers. If so, make sure you’re prepared with a fresh and varied used car offering. Hurricanes Harvey, Irma, and Maria may have changed things, but they’ve also reminded us that planning ahead with a varied mix of fresh inventory will weather the unpredictable changes in customer demand and market shifts. Mark Maida is CEO of AutoBuy, a Florida-based bricks-and-clicks automotive company that offers auto retailers and auction houses nationwide a marketplace of fresh, high-quality used vehicles, without the hassle of reconditioning—and that has appraised over a billion dollars of used vehicle inventory, served over 100,000 private car sellers, and is the only remarketing company to achieve a near-perfect Google review score with consumers.